Dream Good is Cliff Hillis first album in 3 years, and it's well worth the wait. 12 finely-crafted songs that bring to mind artists like Michael Penn, Fountains Of Wayne, Wilco and Elliott Smith. The album features some impressive guests such as Danny Wilde (The Rembrandts), Philip Price (The Winterpills) and John Lilley & David Uosikkinen of The Hooters. To top it off, the record was mixed by studio wizard Brad Jones at Alex The Great Recording in Nashville. The result is Cliffs strongest and best sounding record to date! 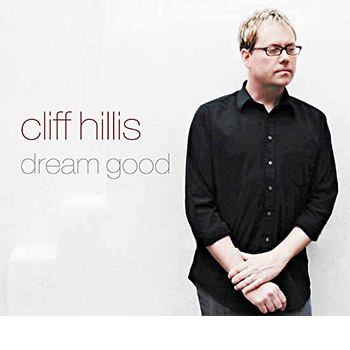 There is nothing clever I could say about Cliff Hillis Dream Good as clever as the lyrics, melodies, singing and playing on Cliff Hillis Dream Good. Give a listen and you'll see what I mean. Earnest powerpop that is neither twee nor overblown — material that would fit snugly on a play-list with Squeeze, Teenage Fanclub and Jason Falkner.